Threats of war with N/Korea ‘dangerous, short-sighted’—Hillary Clinton – Royal Times of Nigeria. 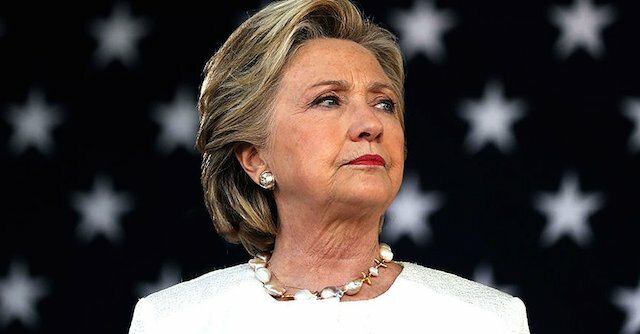 Former U.S. presidential candidate Hillary Clinton on Wednesday said “cavalier” threats to start war on the Korean peninsula were “dangerous and short-sighted”. Clinton, however, urged the U.S. to get all parties to the negotiation table. Clinton also called on China to take a “more out-front role” in enforcing sanctions against North Korea aimed at curbing its missile and nuclear development. “There is no need for us to be bellicose and aggressive over North Korea,” Clinton told the World Knowledge Forum in Seoul, stressing the need for more pressure on North Korea and diplomacy to bring Pyongyang to talks. Tension between Pyongyang and Washington has soared following series of weapons tests by North Korea and a string of increasingly bellicose exchanges between U.S. President Donald Trump and North Korean leader Kim Jong Un. “Picking fights with Kim Jong Un puts a smile on his face,” Clinton said, without mentioning Trump by name. Clinton also indirectly referred to Trump’s social media comments on North Korea, saying, “the insults on Twitter have benefited North Korea, I don’t think they’ve benefited the United States”. The war of words has seen Trump call the North Korean leader “little rocket man” on a suicide mission, and vow to destroy the country if it threatens the U.S. or its allies. In turn, the North called Trump “mentally deranged” and a “mad dog”. Talks between the adversaries have long been urged by China in particular, but Washington and its ally, Japan have been reluctant while Pyongyang continues to pursue a goal of developing a nuclear-tipped missile to hit the U.S.
On Tuesday, Deputy Secretary of State, John J. Sullivan, said the U.S. did not rule out the eventual possibility of direct talks with North Korea. The situation on the Korean peninsula was now touch-and-go point and a nuclear war may break out any moment”, North Korea’s Deputy UN Amb. Kim In Ryong had told a UN General Assembly committee on Monday.